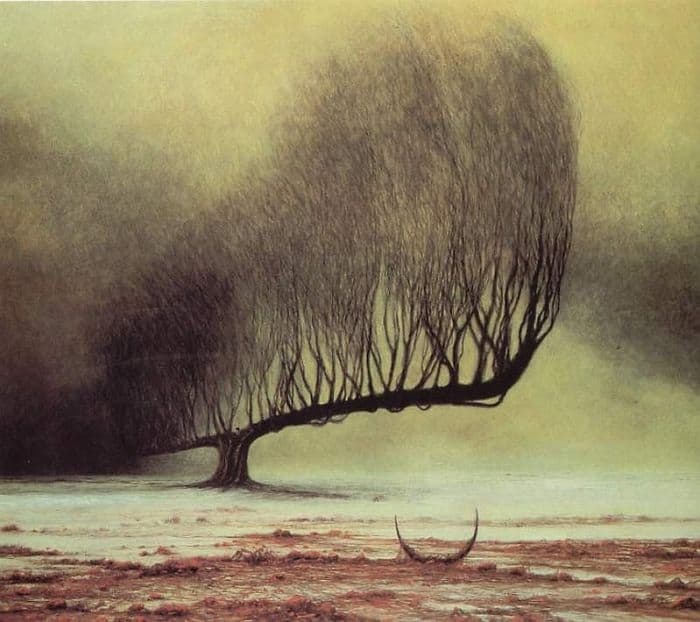 A decade after his brutal murder, Zdzisław Beksiński’s paintings hold the world spellbound. 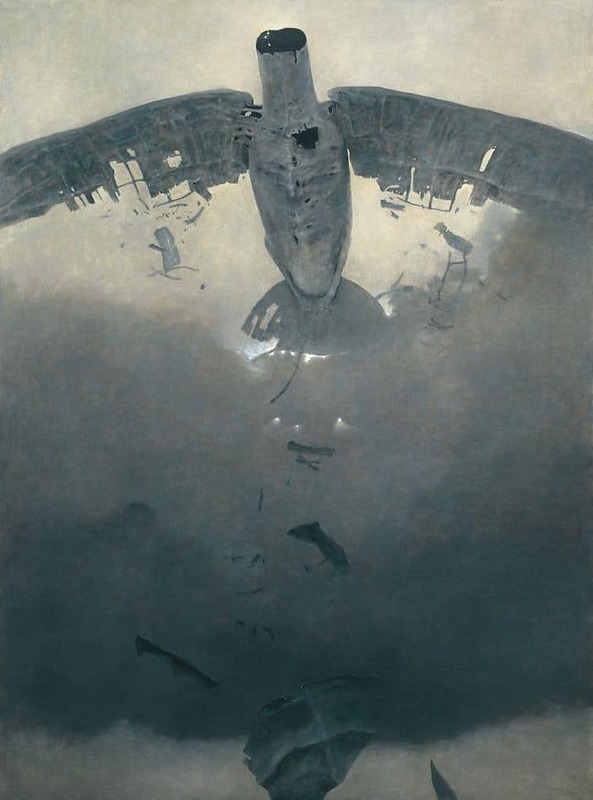 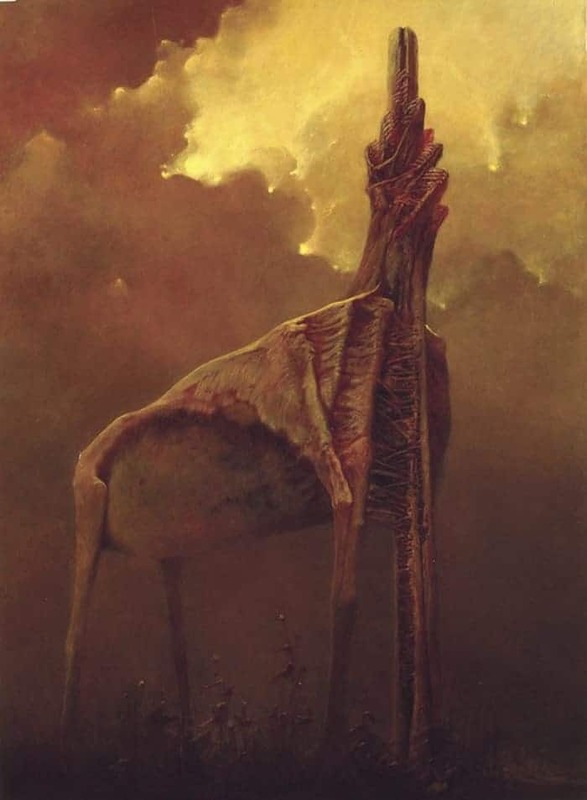 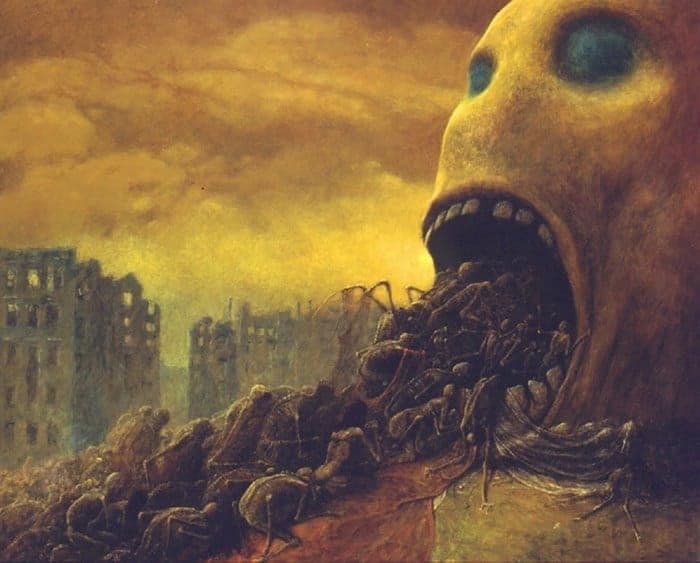 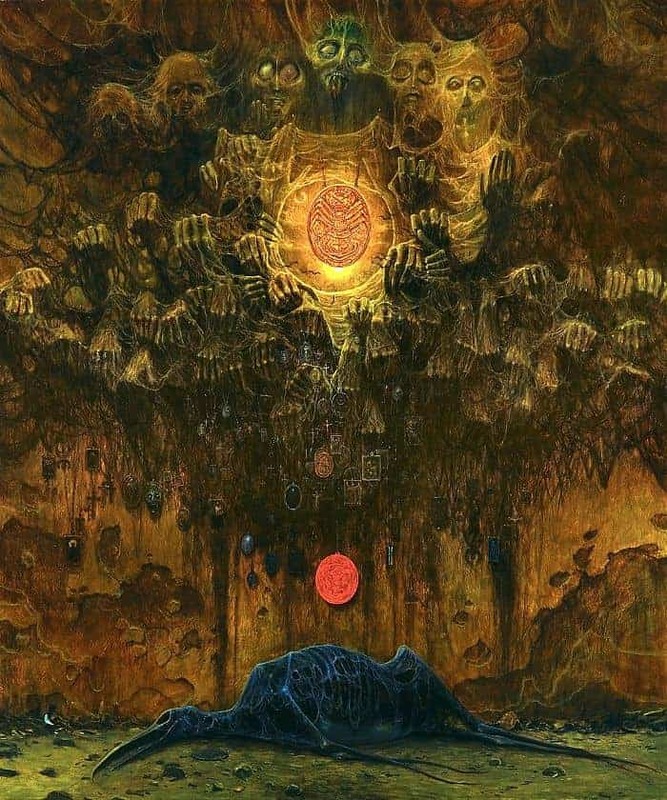 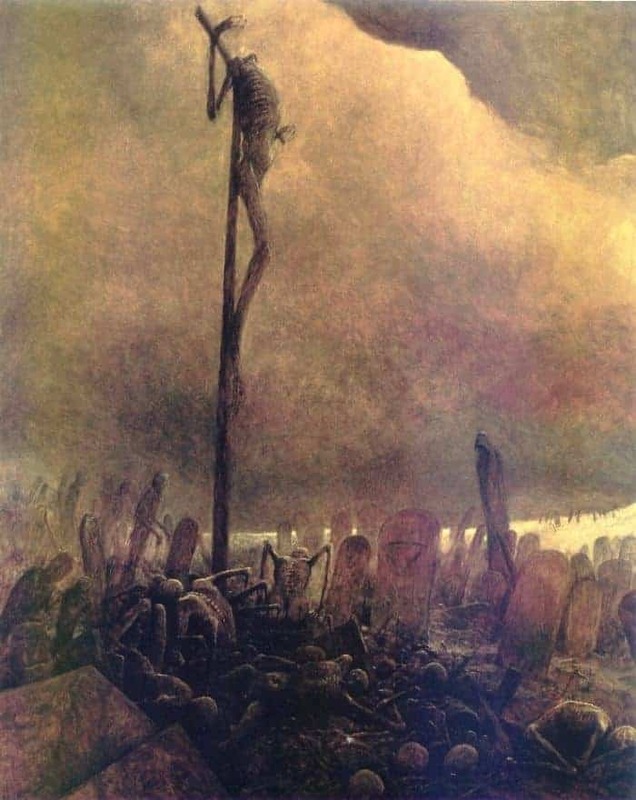 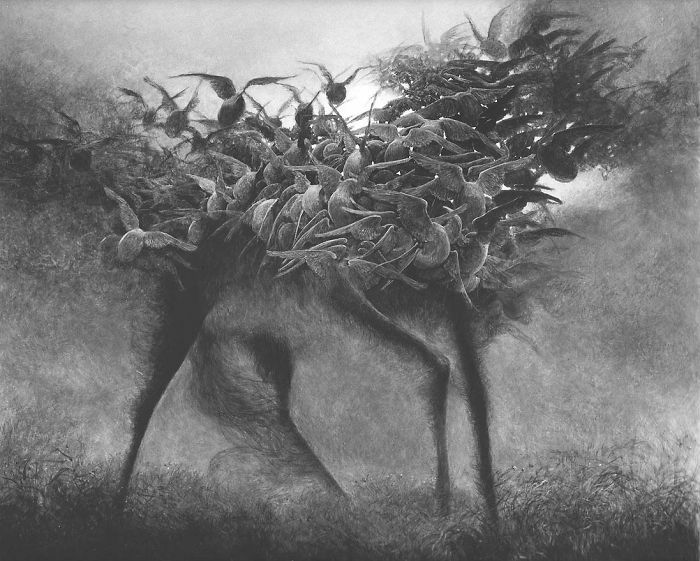 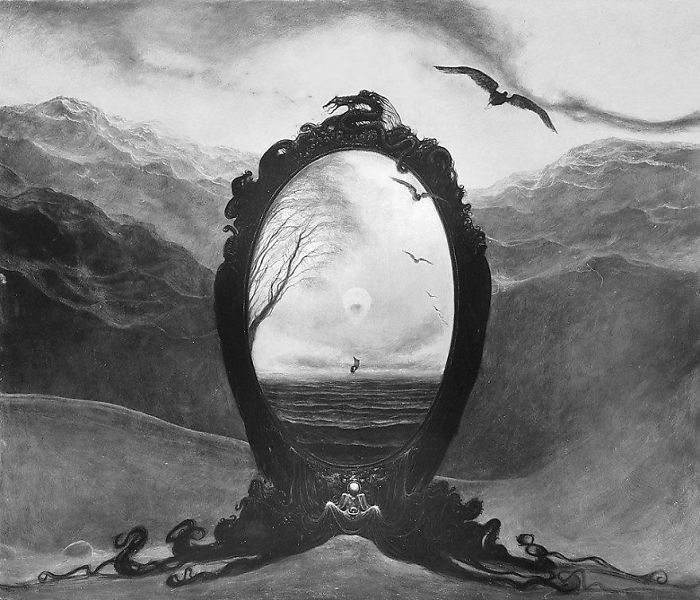 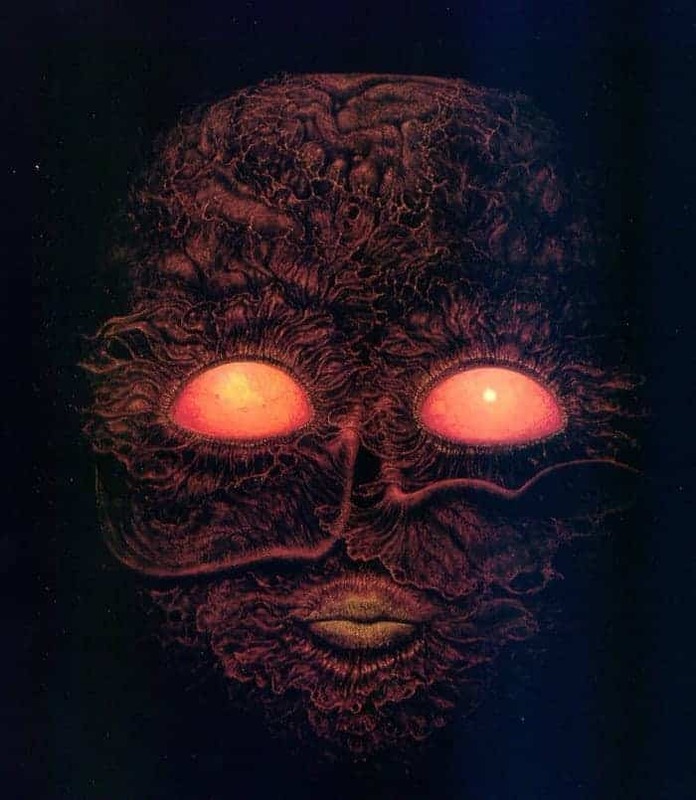 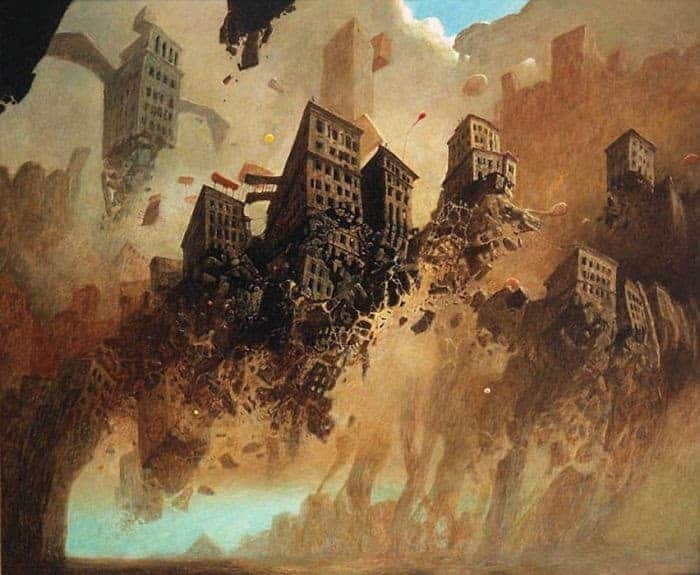 Is the universal fascination they evoke the result of their author’s own gruesome tragedies, or did Beksiński simply succeed at capturing the unsettling underside of human consciousness? 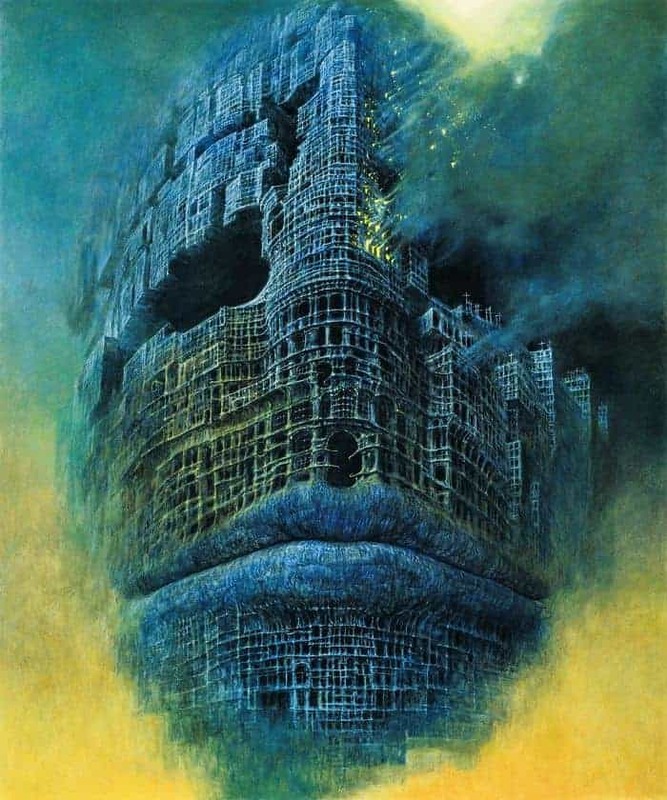 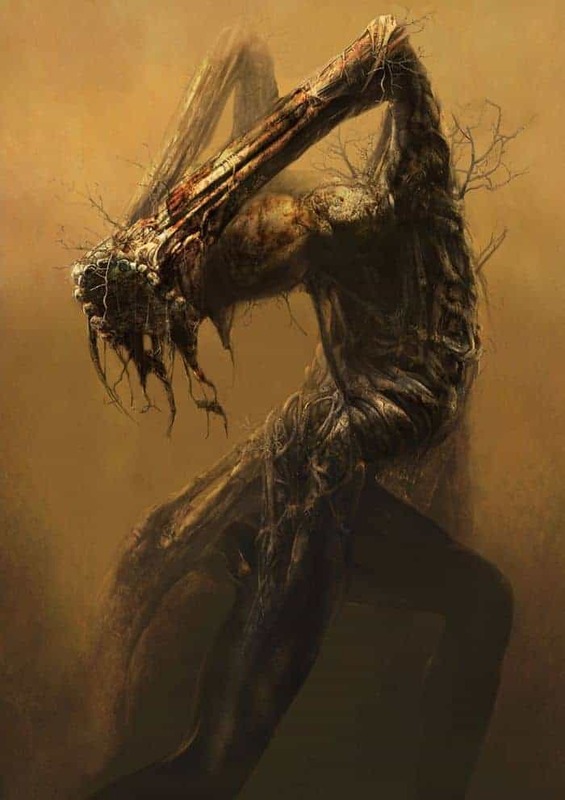 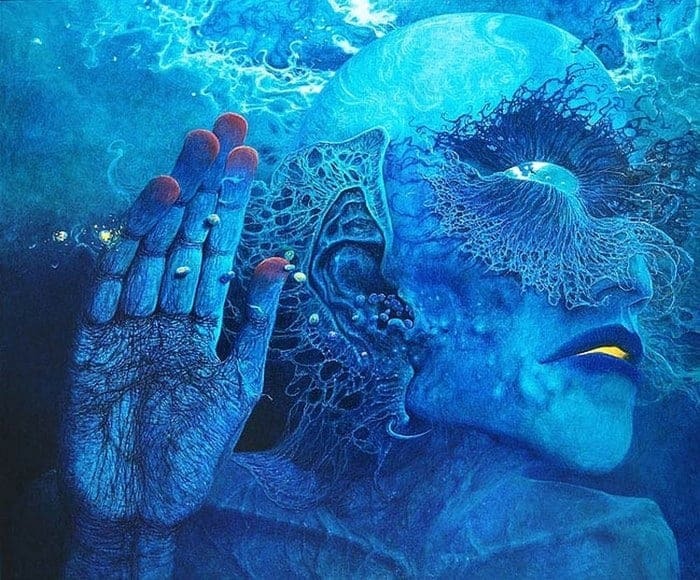 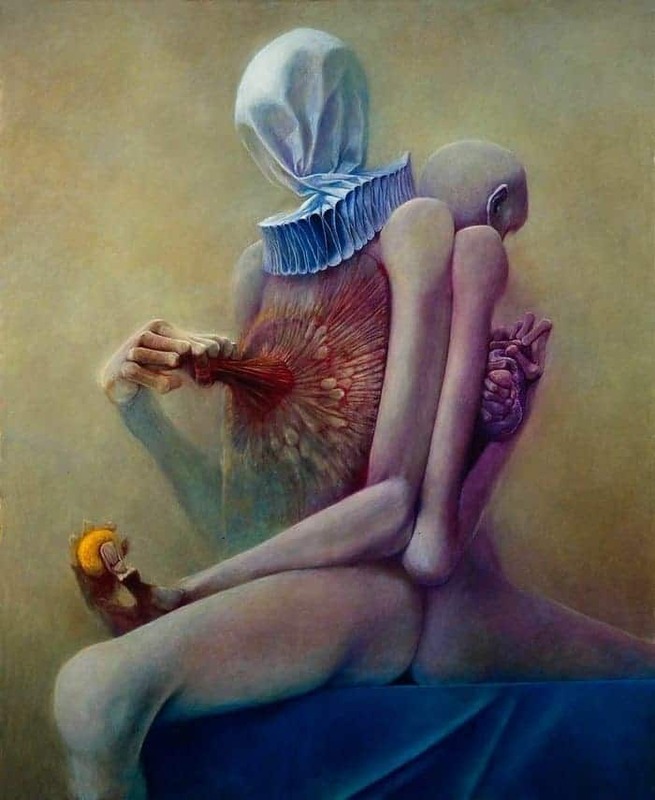 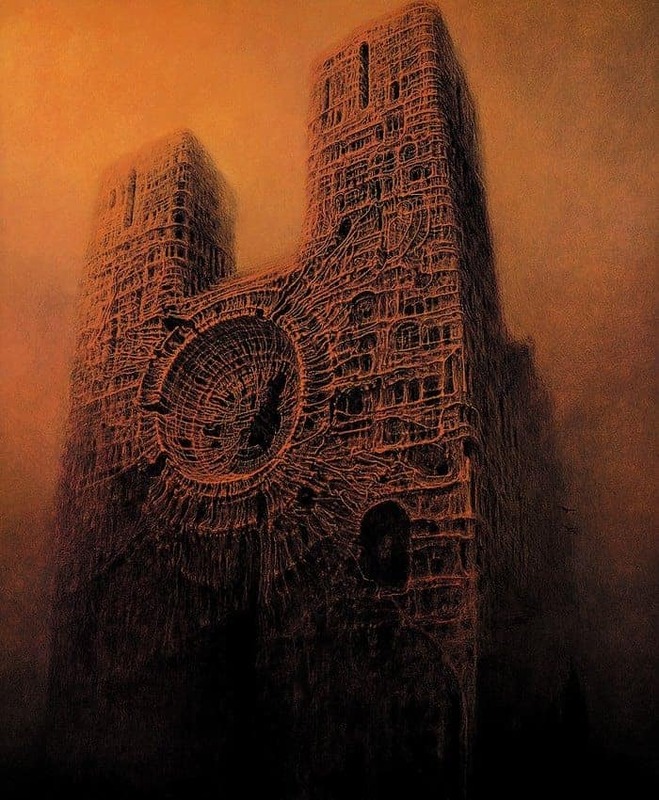 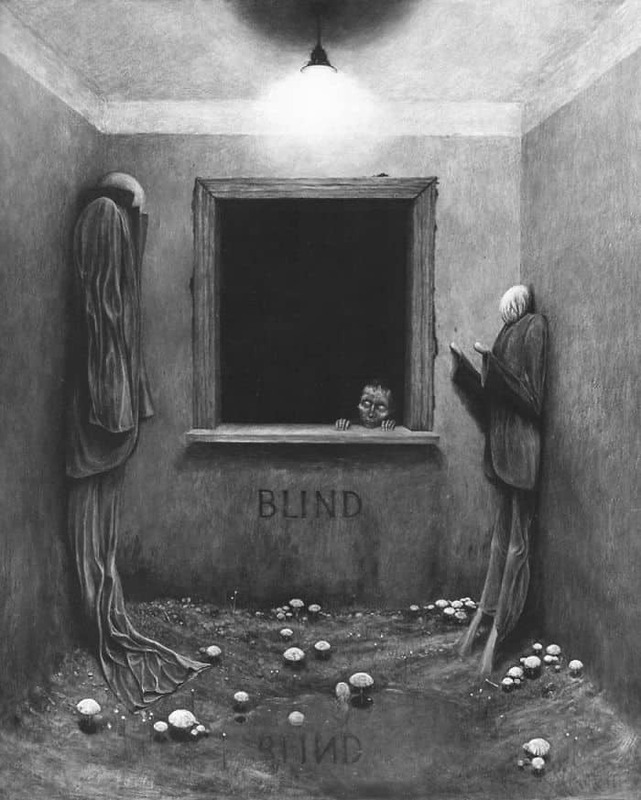 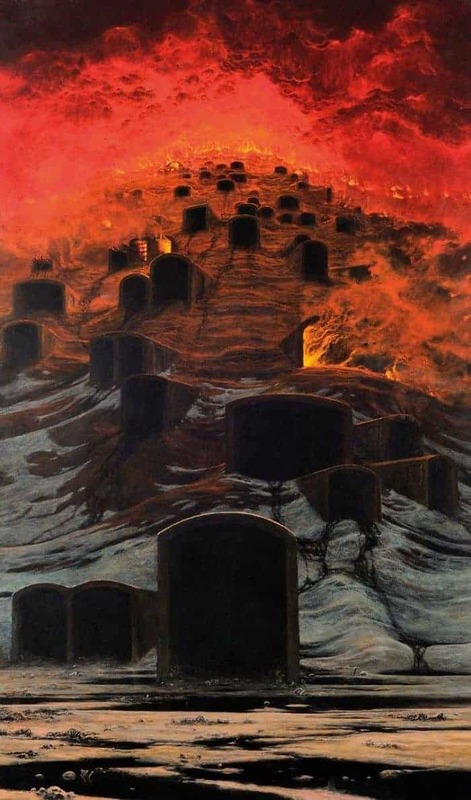 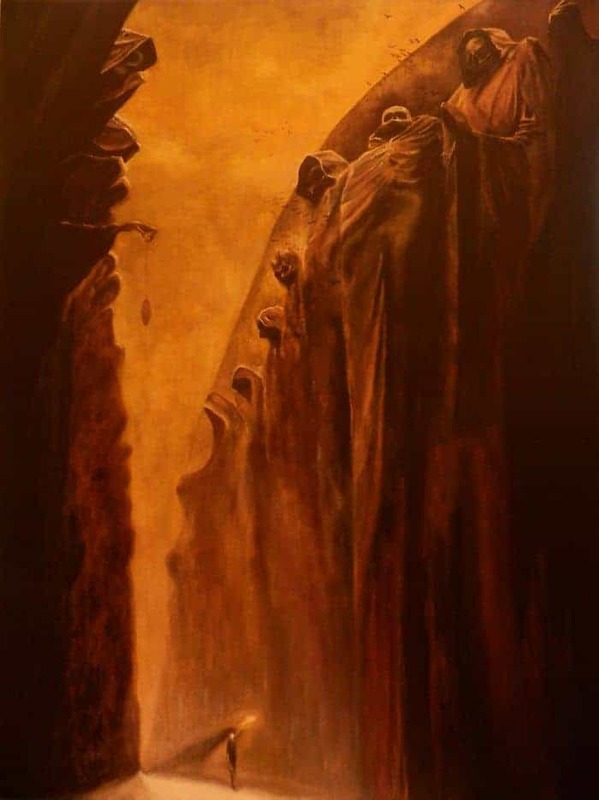 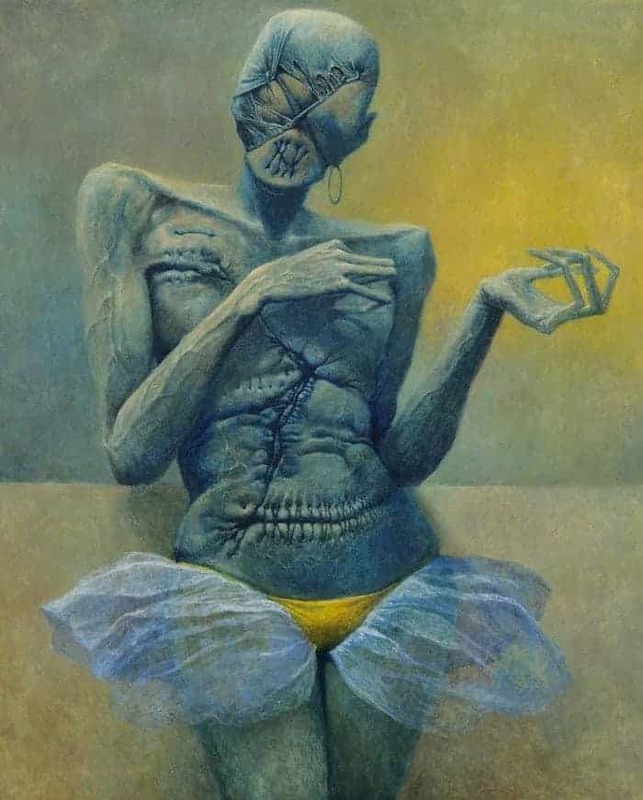 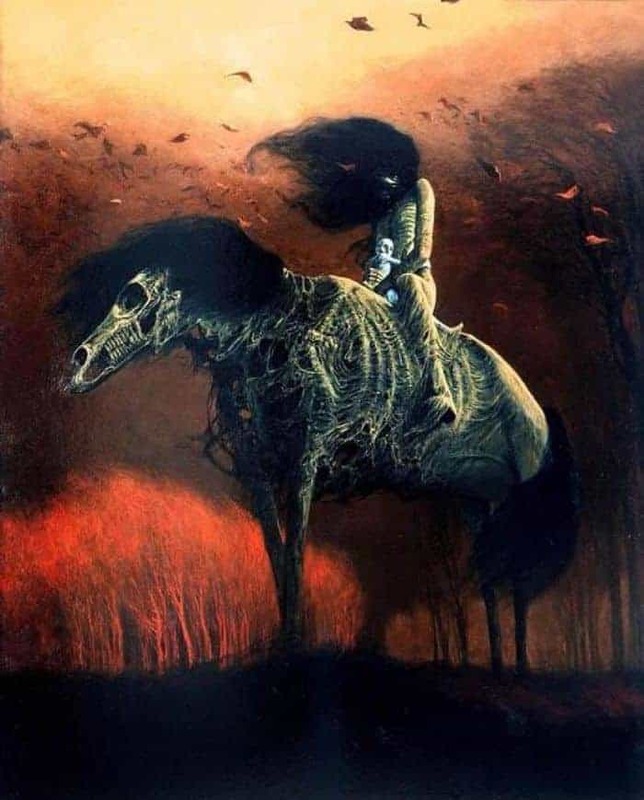 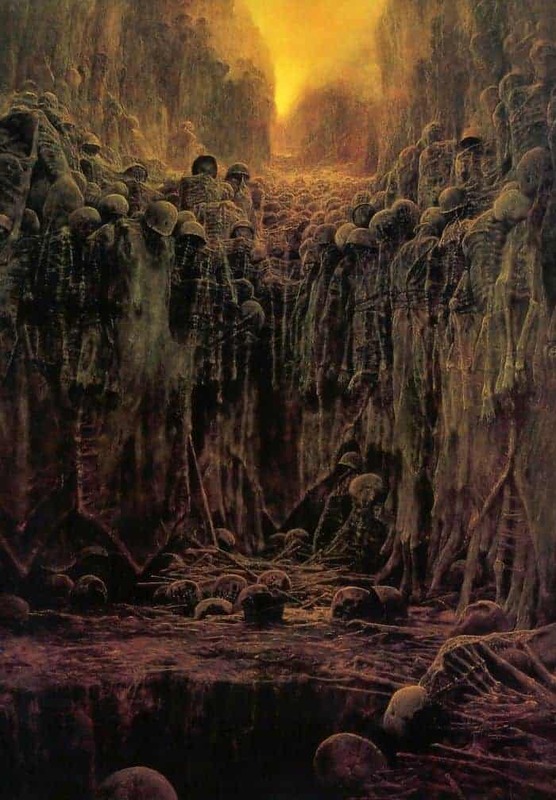 Surrealism Polish Painter Zdzisław Beksiński was born in Sanok, southern Poland. 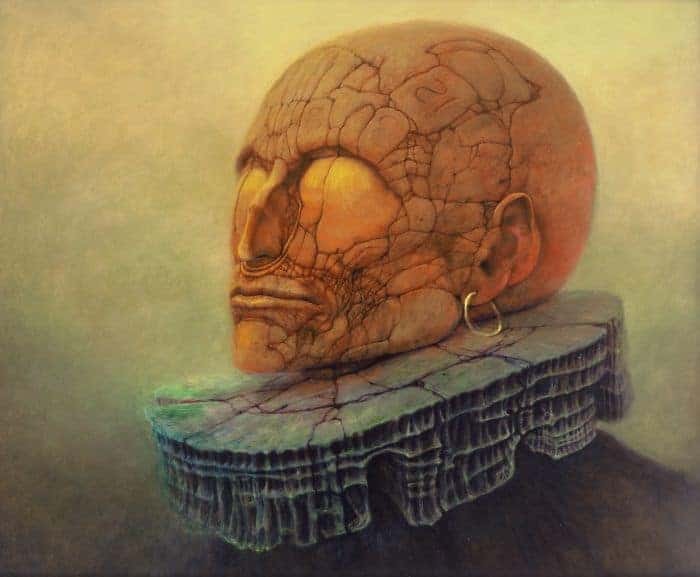 He studied architecture in Kraków. 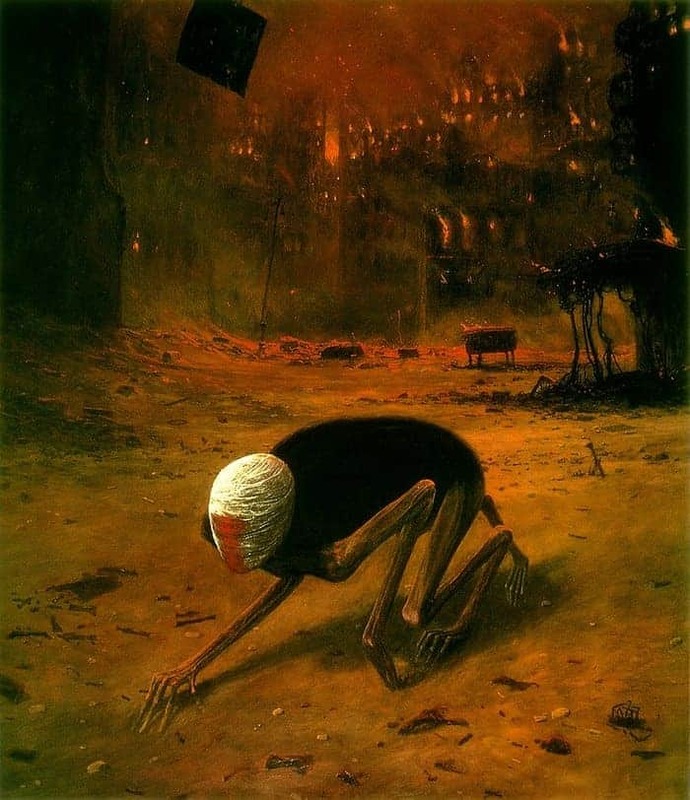 In 1955, he completed his studies and returned to Sanok, working as a construction site supervisor, but found out he did not enjoy it. 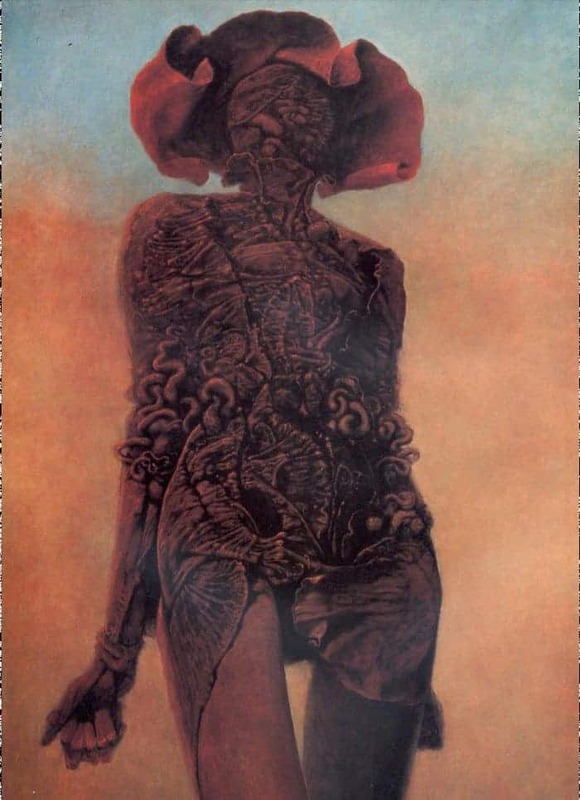 During this period, he had an interest in montage photography, sculpting and painting. 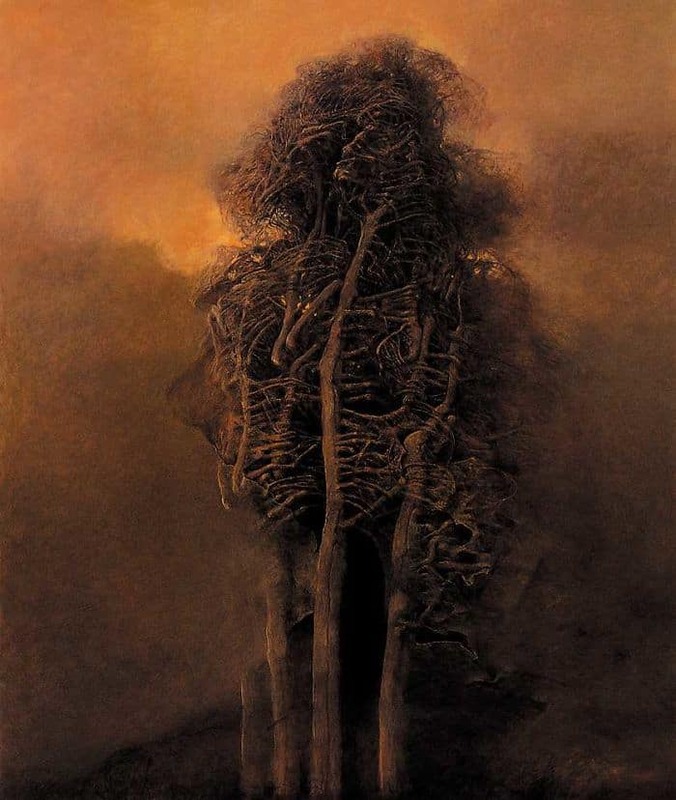 When he first started his sculpting, he would often use his construction site materials for his medium. 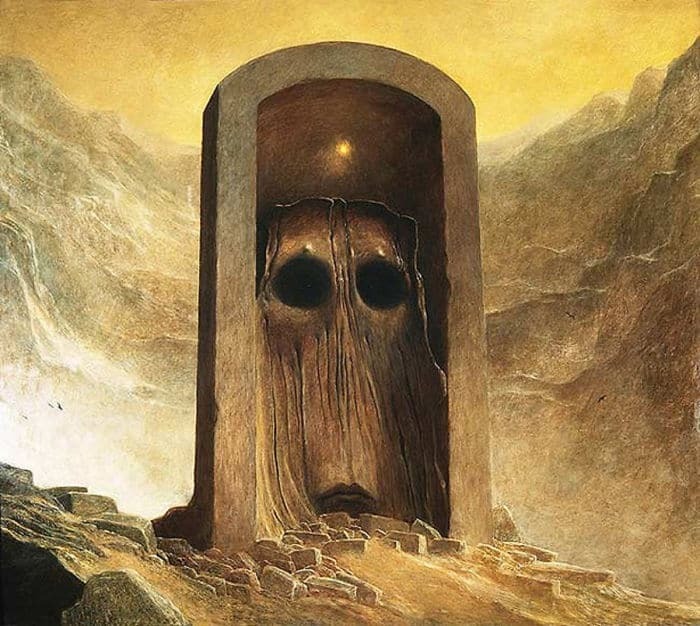 His early photography would be a precursor to his later paintings often depicting peculiar wrinkles, desolate landscapes and still-life faces on rough surfaces. 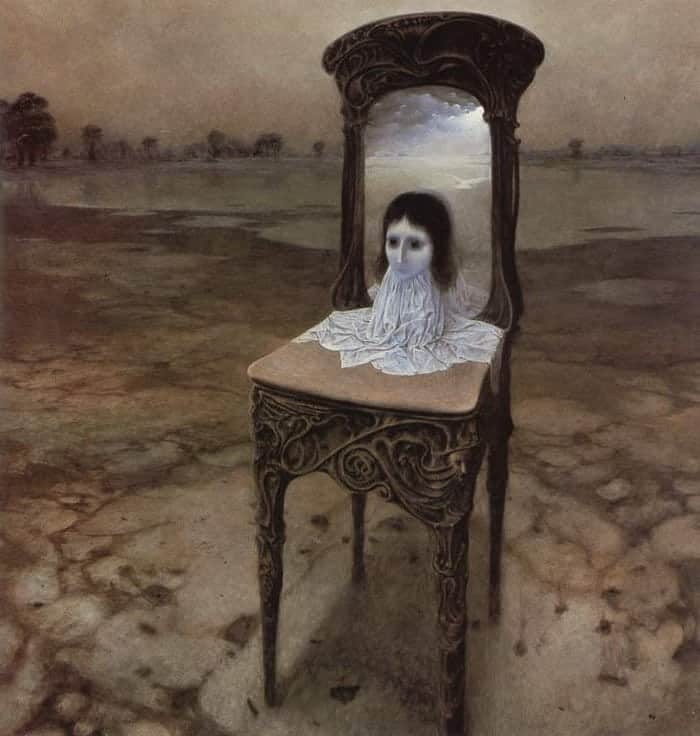 His paintings often depict anxiety, such as torn doll faces, faces erased or obscured by bandages wrapped around the portrait. 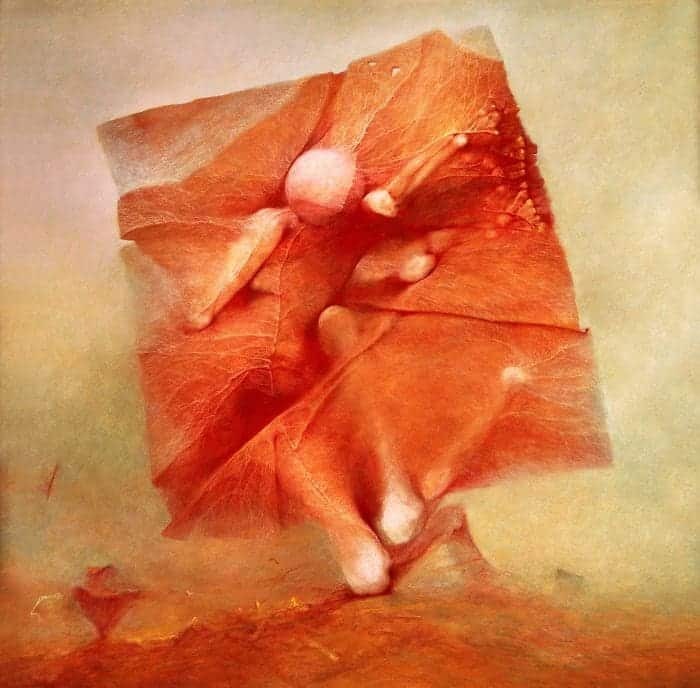 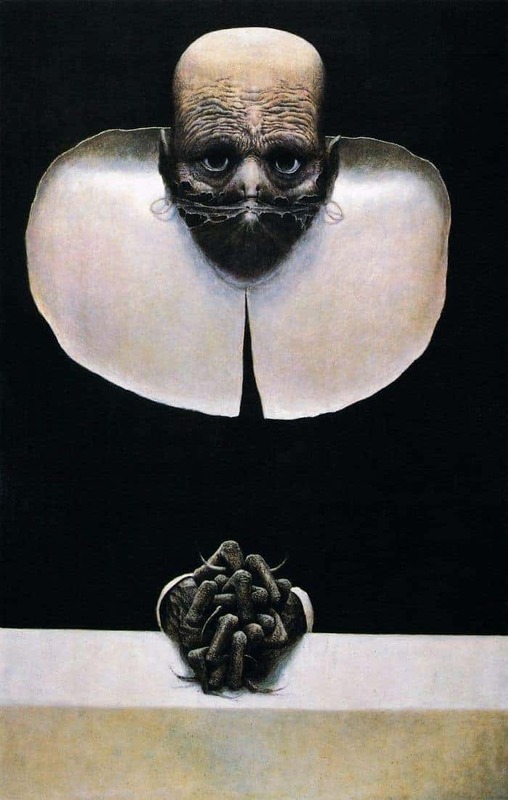 His main focus was on abstract painting, although it seems his works in the 1960s were inspired by Surrealism. 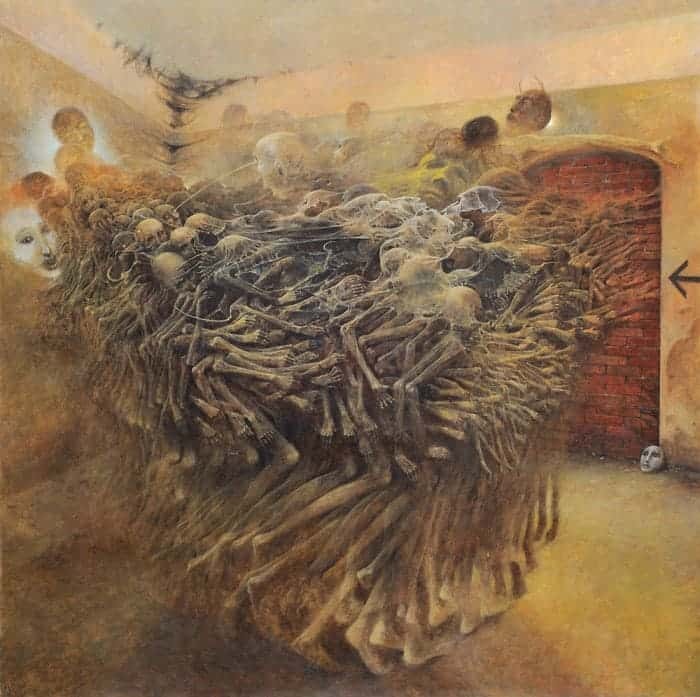 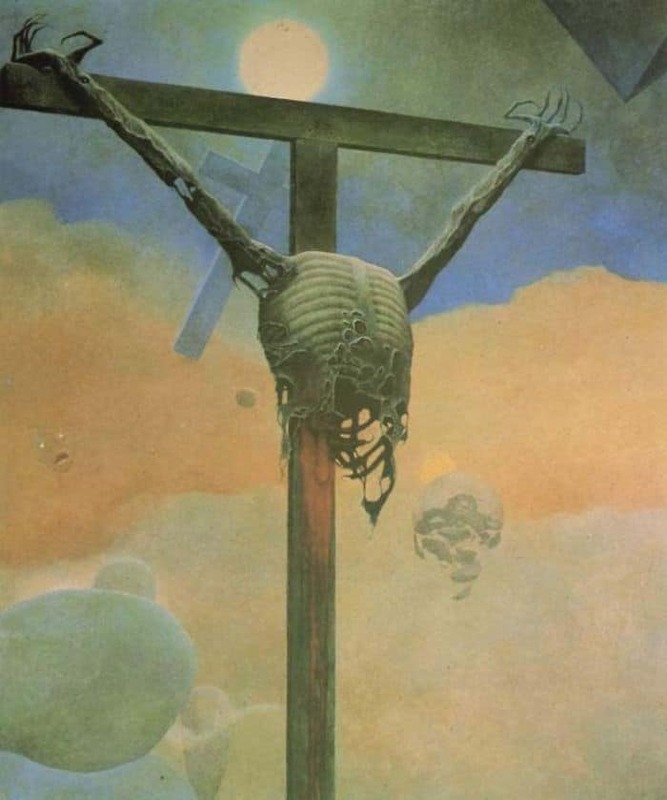 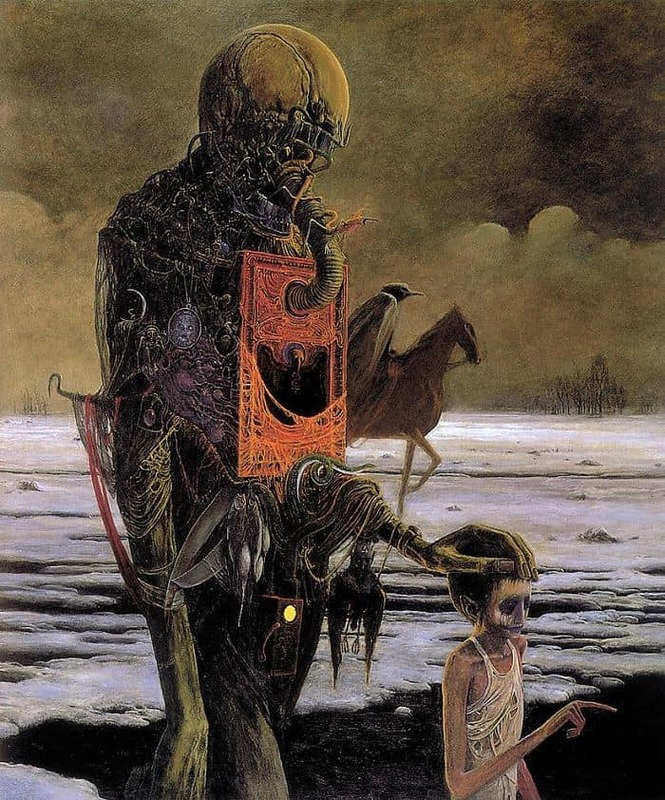 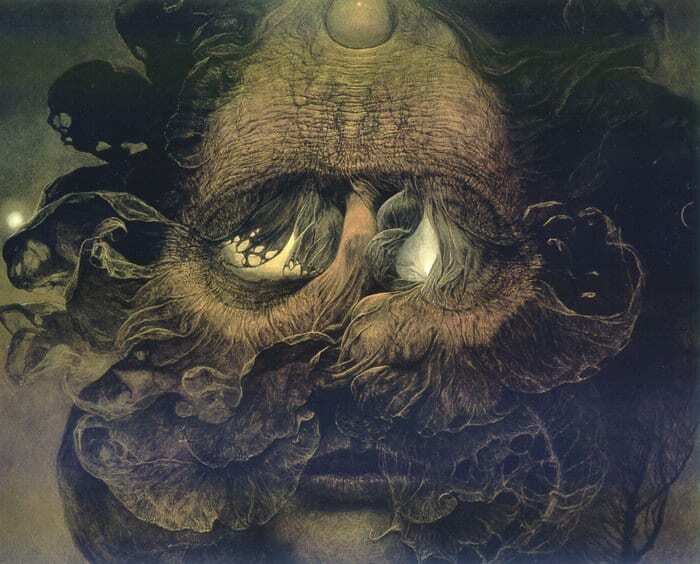 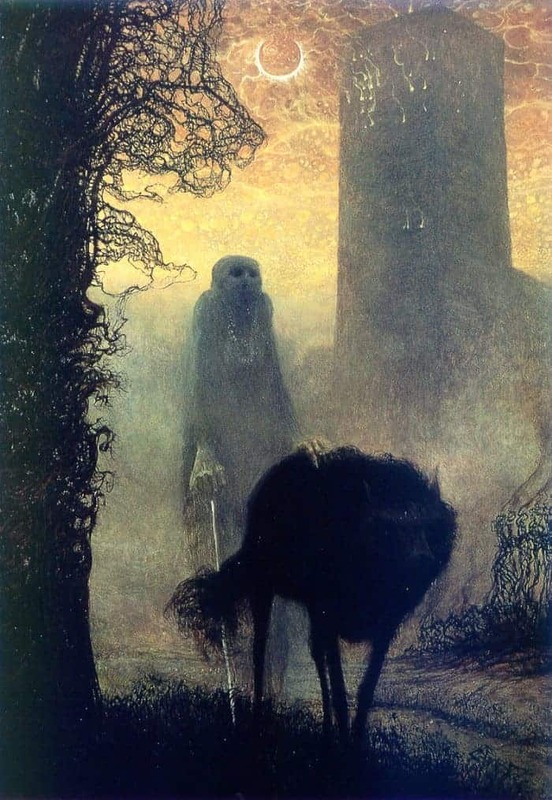 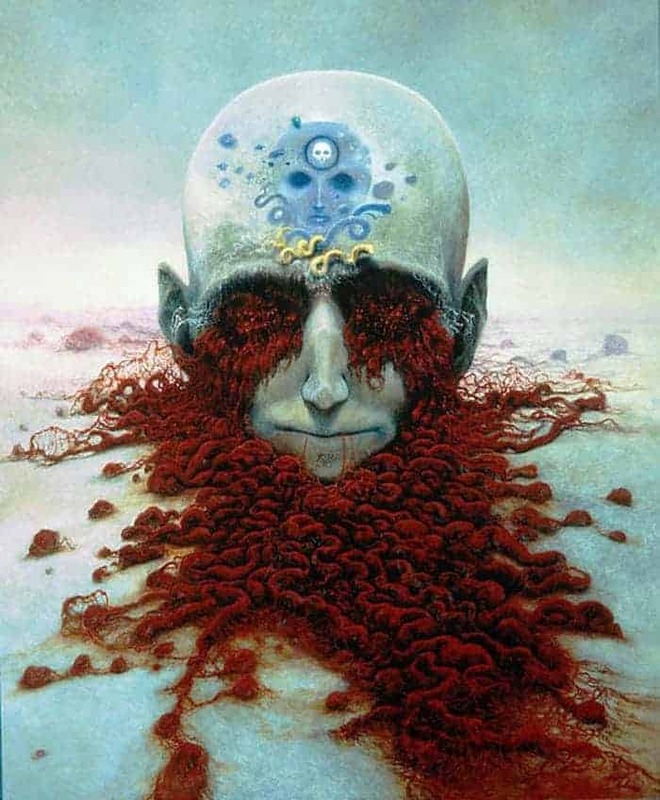 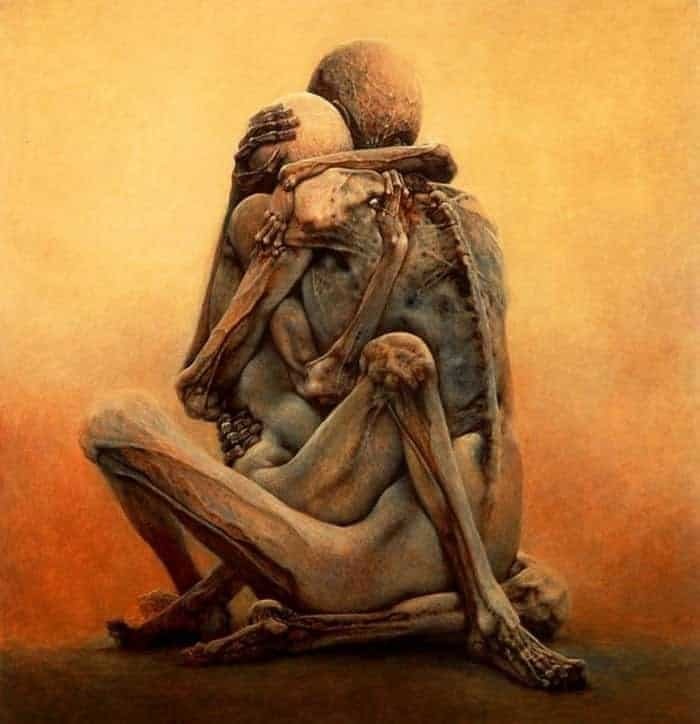 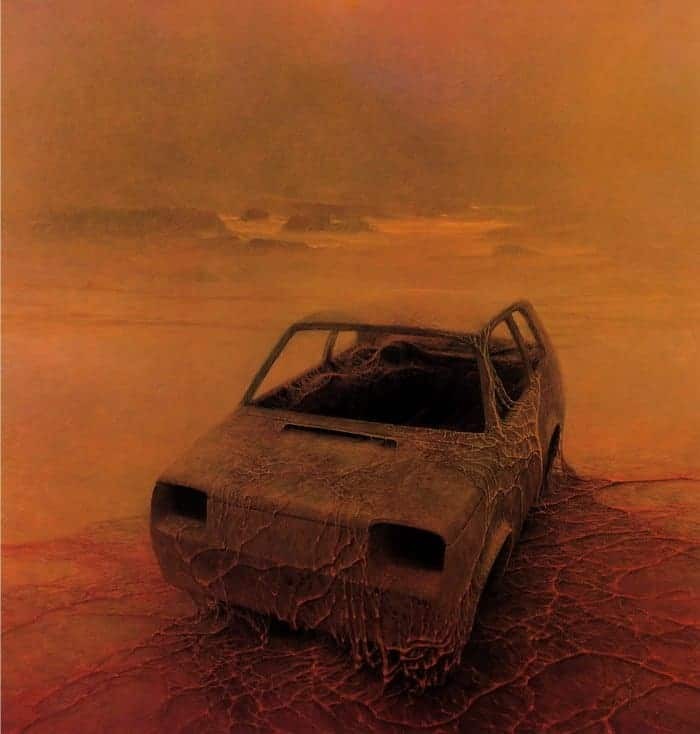 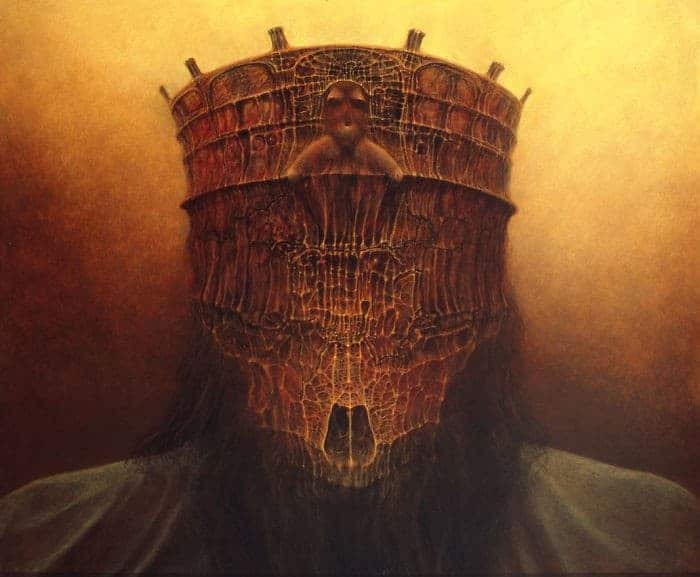 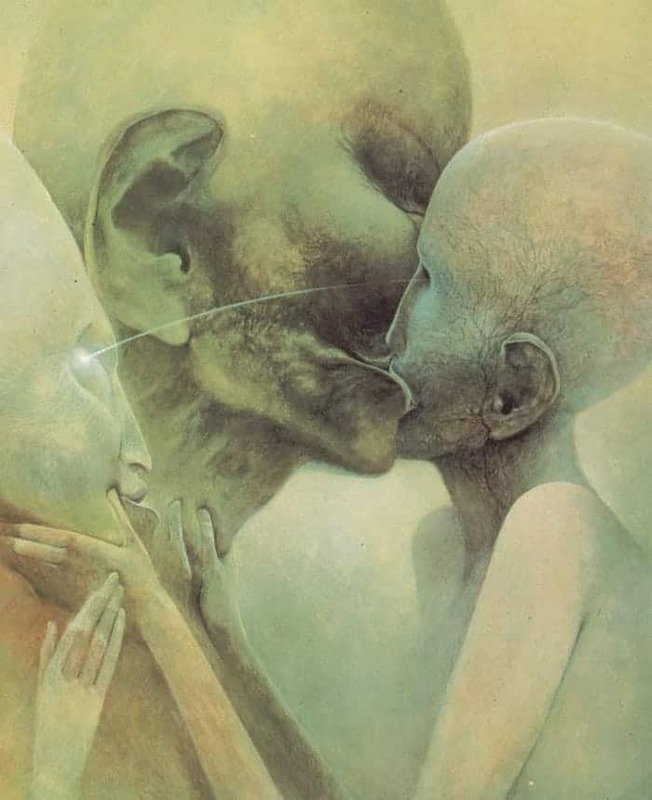 Let us take you on a journey through the curious mind of a Surrealism Polish artist, Zdzisław Beksiński, who made a name for himself with his dystopian surrealism paintings, filled with post-apocalyptic imagery and nightmarish creatures. 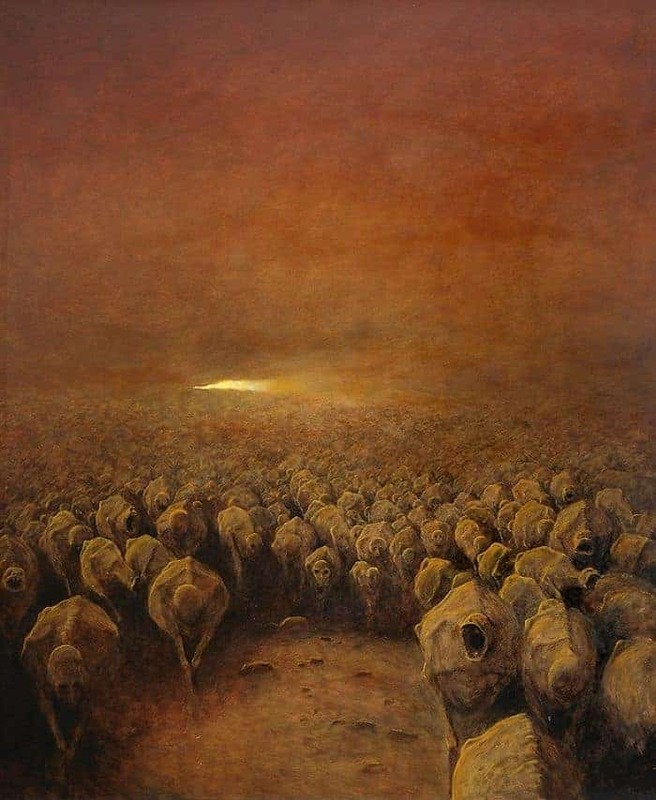 The artist is no longer with us to better explain the vast roster of over 300 of his works, but he used to say: “I wish to paint in such a manner as if I were photographing dreams.” And that is exactly what popped into my head when I first saw his paintings. 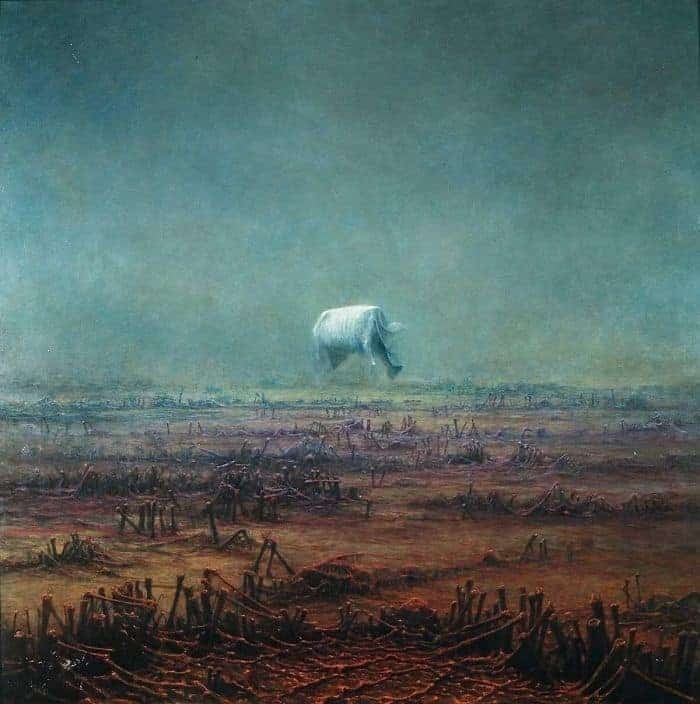 Even, though, they utilize recognizable everyday objects, those are paired and arranged in ways only the dream world could sustain in a single picture.